The Dragonfruit Diaries x Oasap: $50 & $30 Giveaway! You know what's better than having a giveaway? Having a giveaway where there are not one, but two winners! For this particular one, first prize is a $50 coupon to Oasap and second prize is a $30 coupon. Most of your are familiar with Oasap, but in case you didn't know, they have free shipping worldwide, so anyone can enter and don't have to worry about having their shipping charges subtracted from their coupon! So enter below, and be sure to follow all the mandatory steps! Linda, Something is wrong with the Rafflecopter on this giveaway. It doesn't continue. It stalls. Letting you know. Let me know if it gets resolved and I'll come back. Wow, I'd love to get my hand on one of these! Thanks so much for your lovely comment Linda. 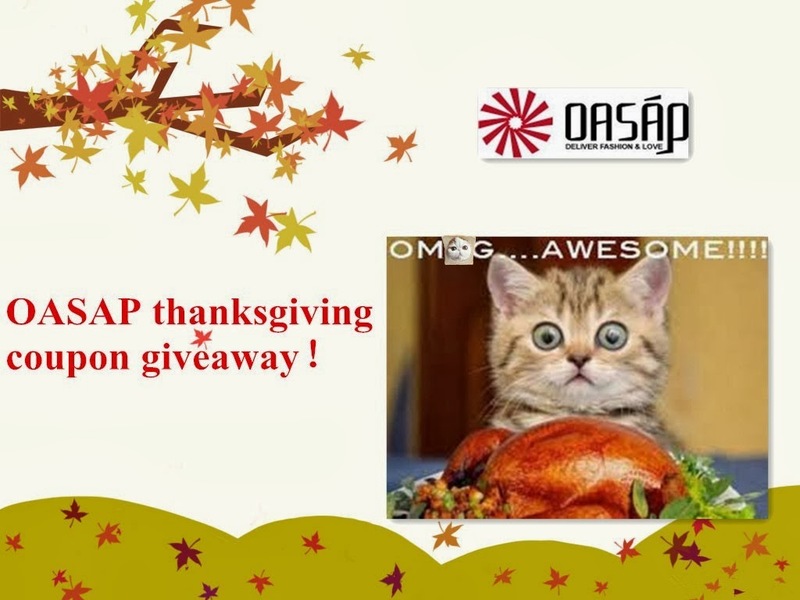 I love Oasap and its awesome that two people can win. Hopefully Ill be one of them. done, done and done. How was I not already following you on instagram!? Crazy!